Best value in El Paso county! Enjoy one level living with an open, light and bright layout! Vaulted ceilings. 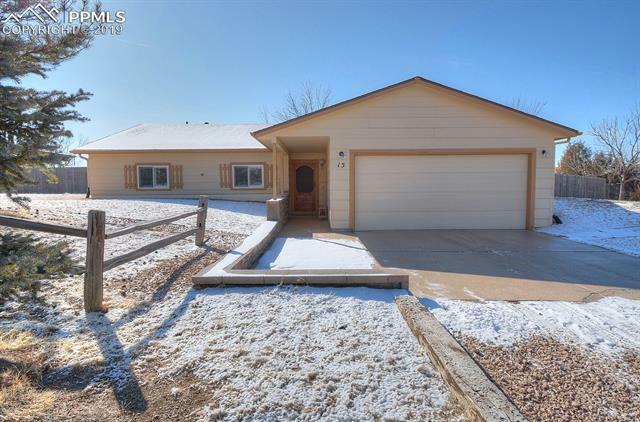 This home has so much to offer with new carpet, roof and gutters, freshly painted trim and views of Pikes Peak are just the start! Both bathrooms and kitchen have been remodeled giving this home a fresh look and feel. Hickory cabinets in kitchen with soft close cabinets and built-in organizers in drawers. Large master has two closets and attached bath with heated tile floor. This property won't last!